Three years ago, we met an organic farmer who told us that our advocacy about organics is a romantic kind of love. He assured us that Pinoy Organics will go a long way and whatever challenges we will face in the future, our advocacy will be able to overcome them because we fell in love with it. This morning, we met Dan Barber and were reminded of that encounter all over again. 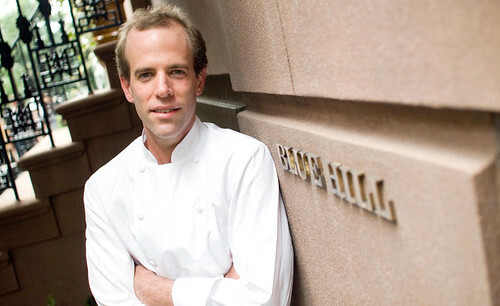 Dan Barber is the chef at New York’s Blue Hill restaurant, and Blue Hill at Stone Barns in Westchester, where he practices a kind of close-to-the-land cooking married to agriculture and stewardship of the earth. As described on Chez Pim: “Stone Barns is only 45 minutes from Manhattan, but it might as well be a whole different universe. A model of self-sufficiency and environmental responsibility, Stone Barns is a working farm, ranch, and a three-Michelin-star-worthy restaurant.” It’s a vision of a new kind of food chain. Barber’s philosophy of food focuses on pleasure and thoughtful conservation – on knowing where the food on your plate comes from and the unseen forces that drive what we eat. He’s written on US agricultural policies, asking for a new vision that does not throw the food chain out of balance by subsidizing certain crops at the expense of more appropriate ones. In 2009, Barber received the James Beard award for America’s Outstanding Chef, and was named one of the world’s most influential people in Time’s annual “Time 100” list. If you have a Pinoy version of Dan Barber in your life, can you honor him/her by sharing his/her story in Pinoy Organics? p.s. RESERVE THE DATE: Feb. 23, 2013. This will be our first meet-up event for the year. Venue will be in Taguig and food will be prepared by one of our Dan Barbers. Buzz us if you want to reserve a slot (pinoyorganics@gmail.com). Bring a friend or a date 🙂 Kita-kits! I hope restaurants with organic menu and chefs who disdain GMO, aspartame and monosodium glutamate will flourish in the Philippines!!! Yes! 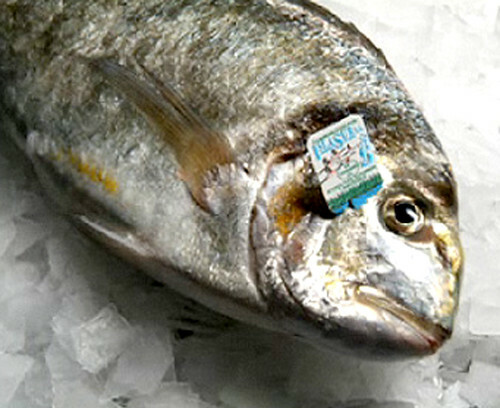 If you’re a good chef, you don’t need those bad, artificial stuff. DISCOVER, EXPLORE, SHARE AND CHANGE WITH US!